Clearly I’m stressed about finding a cocktail dress for this benefit tomorrow. I dreamed someone asked me, “So when are you getting your prom dress?” Also something about a horse in the house, thought that may have been unrelated. “Sure they would.” For some reason, we always think bigger people will fit into our clothes. After dinner, Kismet gave me two dresses to bring home. Very chic but size 0. As in, zero. Kismet waved that off. “Oh, they’re from Loft.” Meaning Loft is one of those stores. The ones that participate in the women’s sizing conspiracy, so when you shop there you suddenly feel you’ve lost ten pounds. 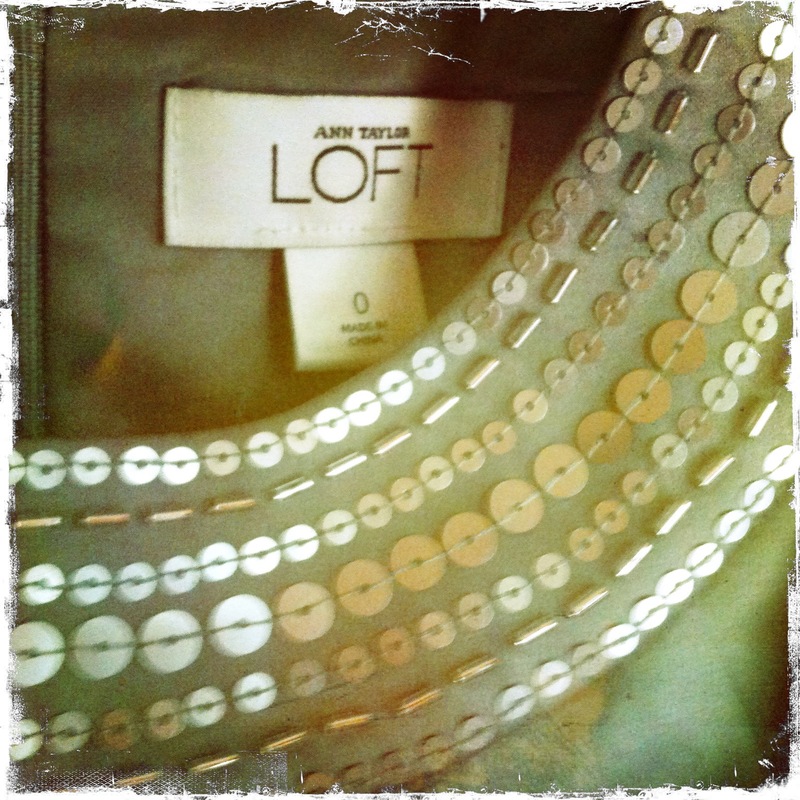 Maybe at The Dressing Room you’re a 10, but at Loft you’re a perfect 8. If you were an 8, you’re a 6 – maybe even a 4! You’re thin and fabulous! You should buy more! It’s the opposite of buying lumber. When you buy a 2×4, you’re actually buying a piece of wood that’s one and a half inches thick and three and a half inches wide. So if you actually want a piece of wood that’s two inches thick you have to buy a 3×6 and rip it down. You’d think someone would say, let’s just re-label everything so the sizes are accurate, but like relabeling clothing to reflect actual body sizes and relabeling defense terms to reflect economic ambitions, there’s no changing midstream. So with a little bit of hope (I think I got into a size 4 once) I tried on the dresses. The first wouldn’t even zip up. The other mostly made it, but when I looked in the mirror, the dressed looked confused, like a toddler set down in the middle of a Packers game. Very gently I got myself out and hung it back on the pretty padded hanger. There’s something odd about dressing up for benefits, though from the industry’s point of view it makes sense. If you dress fancy you feel fancy, and therefore more like someone who can drop a lot of cash at the silent auction. You’ll forget that you spent your last bit of disposable income on a cocktail chic dress and probably shoes. And do people still wear nylons? Xeena just texted to see if I want to go to lunch today. I’d better shop before I eat so I can fit into the size 6’s at Loft. After all, I want my money’s worth. Saying you are “bigger people” makes me laugh. Not that you’ll need it, but good luck finding a dress! You’re beautiful no matter what you’re wearing. Within reason, naturally.